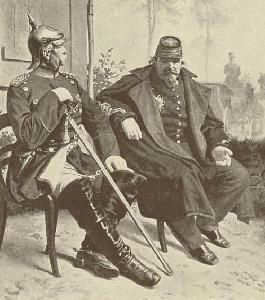 The Franco-Prussian War - known in Germany as the German-French War and in France as the Franco-German War (Guerre franco-allemande) - was the last of three wars that led to the unification of Germany (the first since the Holy Roman Empire had any political power). There were multiple causes of the war, including but not limited to, a potential sale of Luxembourg to France, the vacancy of the Spanish throne, and the Prime Minister of Prussia modifying and publishing an insulting telegram- about a meeting of the French Ambassador. For whatever cause, a dangerously under-prepared France declared war on Prussia (and thus the North German Confederation) in July of 1870. These circumstances led to the South German states (Bavaria, Baden, Wuerttemberg) to join the side of the North German Confederation. The result was a 10-month Curb-Stomp Battle as the Prussians decimated the French in all but three battles (where the French won one at Broney-Colombey and fought to a draw in two others), captured the French Emperor, Napoleon III, and unified Germany. Another result of the war was Germany's annexation of Elsass-Lothringen (Alsace-Lorraine), which they held until World War One. Moreover, the French had to leave Rome, indirectly finishing the Unification of Italy. The defeat of Napoleon III led to the proclamation of the Third French Republic, which continued the war longer than the Germans expected by continually raising new armies even as Paris was besieged. In a bloody epilogue after the signing of the definitive peace treaty French fought French as the forces of the conservative central government put down the Paris Commune. An outgrowth of the Civil War, the gunfighter-era also spawned a number of outlaws. 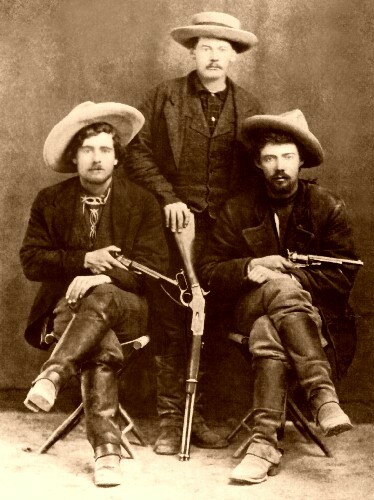 The term "gunfighter" itself referred to those men in the American Old West who had gained a reputation as being dangerous with a gun. With men who had become accustomed to violence and often having lost their lands or fortunes, being quick with a gun was often an easy transition. The occupations of these gunfighters ranged from lawmen, to cowboys, ranchers, gamblers, farmers, teamsters, bounty hunters, and outlaws. During these violent days, most of the shootings occurred in Texas, Kansas, New Mexico, Oklahoma, California, Missouri, and Colorado. Though about a third of the gunman died of "natural causes," many died violently in gunfights, lynchings, or legal executions. The average age of death was about 35. However, of those gunman who used their skills on the side of the law, they would persistently live longer lives than those that lived a life of crime. Most gunfights are portrayed in films or books as having two men square off, waiting for one to make the first move. This was rarely the case. 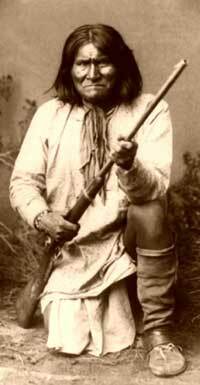 Often, a gunfight was spur-of-the-moment, with one drawing his pistol, and the other reacting. Often it would develop into a shootout where both men bolted for cover. Other times, one or both were drunk and missed several normally easy shots. Many times the shootout was little more than one taking advantage of the other's looking away at an opportune moment. Regardless of popular folklore, the men who held noteworthy reputations as a gunfighter were not anxious to match up against another gunman with the same reputation. On the contrary, in cases where two men held a similar reputation, both reputable gunmen would avoid confrontation with one another whenever possible. They rarely took undue risks, and usually weighed their options before confronting another well-known gunman. This respect for one another is why most famous gunfights were rarely two or more well-known gunmen matched up against one another, but rather one notable gunman against a lesser known opponent or opponents. Generally, two well-known gunmen coming into contact with one another would result in either the two keeping a distance but being social, or avoiding one another altogether. In cases where one well-known gunman was a lawman, and another was merely in town, the one that was visiting would avoid problems. He avoided confrontation with the gunman serving lawman. How famous gunfighters died is as varied as each man. Many well-known gunfighters were so feared by the public because of their reputation that when they were killed, they died as a result of ambush rather than going down in a "blaze of glory". Others died secluded deaths either from old age or illness. In many ways, the "Old West" is a time period many modern folk wish to return to, a time of values, hard work and a simpler way of life. There are many groups who do these impressions and we'll soon have links to them! If you are interested in Old West reenacting, come back real soon and we'll have the goods. There's a lot of folks who are into this and many do it to honor their ancestors. I'd sure like to showcase any groups that do this--one can never go wrong in my book, by honoring your ancestors. Coming soon, some good links for Old West and Gunfighter Groups! Troops Embarking for the Phillipines Thomas Edison film clip available on line! Library of Congress Recording Archive: Hear the voice of General Leonard Wood talking about Theodore Roosevelt! Enrique Dupuy de LÃ?Â´me, Spanish Minister to the U.S.
Books... most reenactors have huge libraries and this period deserves no less... We try for books that are directly useful to the reenactor, not having so much emphasis on rusted bits of metal and their interpretation as others do. Scholarly works are fine, but not always the best for the reenactor. Do we succeed? -- Not always... your recommendations will help! Note: If you don't see a book listed here that you feel we need to have for sale, then PLEASE recommend it to us so that we can add it here! On this page you will find sutlers/vendors that we recommend. If you have a business that sells items for these time periods, and would like your ad link here, please contact us. You may view our rates and information on our ad page. It's a place for customers to rate their experiences with vendors servicing the reenacting community. Good or bad, let's hear it. Vendor Feedback Reviews are posted only after reviewed by the webmaster. Positive reviews are posted as they are submitted, negative reviews are posted 2 weeks after submission. During this time, the vendor is sent the review in order to provide them ample time to provide us with a rebuttal. After 2 weeks if no rebuttal is received the review is posted. Vendors who do not recall the buyer are encouraged to make contact and work out the problem. Information on Organizations -- Useful Advertisers!